US also said that if Pakistan does not enact the legislation, it would run counter to Islamabad’s commitment to FATF in its fight against terrorism & money laundering. Washington: The US has asked Pakistan to swiftly enact a legislation that formally proscribes both Hafiz Saeed-led JuD and FIF, even as it criticised the recent removal of the ban on the two outfits which it said runs counter to Islamabad’s commitment to the FATF to fight terrorism. The US said the removal of the ban on the Jamaat-ud-Dawa and Falah-i-Insaniyat Foundation would jeopardise Pakistan’s ability to meet its commitments to fight terrorism under the UN Security Council resolution. “The expiration of the ban on JuD and FIF runs counter to Pakistan’s commitment to work with the Financial Action Task Force (FATF) to address weaknesses in its counter-terrorism financing regime,” a State Department spokesperson told PTI. The spokesperson was responding to a question on the recent lapse of an ordinance issued by Pakistan’s president that led to lifting of the ban on the two outfits. 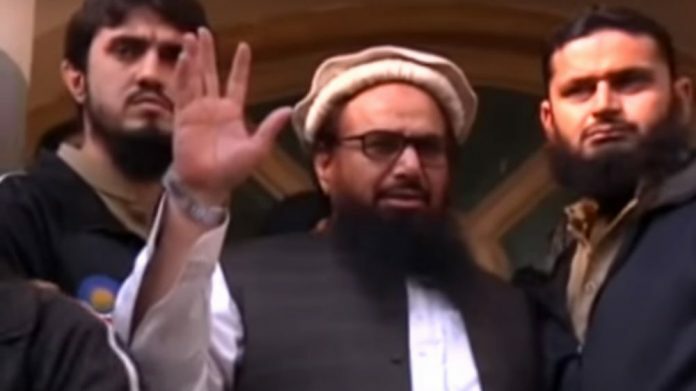 Mumbai attack mastermind Saeed’s JuD and FIF are no longer on the list of banned outfits in Pakistan as the ordinance that proscribed them under a UN resolution has lapsed and the new Imran Khan-led government did not extend it, a Pakistani media report said last week. “As we have said before, the United States is deeply concerned that this development will jeopardise Pakistan’s ability to meet its commitments under UN Security Council Resolution 1267 to freeze and prevent the raising and moving of funds belonging to or associated with UN-designated terrorist groups,” the spokesperson said. The development underscores the importance of Pakistan “urgently enacting legislation that formally proscribes” both JuD and FIF, the spokesperson said. Hafiz Mohammad Saeed , stooge of ISI is best Pakistani bet of ISI against USA. Pakistan army has given guarantee to US security establishment(s) that Hafiz Mohammad Saeed would not harm any American interest inside or outside Pakistan, Hence occasional US pressure on Pakistan to rein in Hafiz Mohammad Saeed activities are merely for public(internationally)consumption. Ultimately, it is India which would keep on suffering from Hafiz Mohammad Saeed ‘s led terror squads in Kashmir.